Dannielle Owens-Reid and Kristin Russo dialogue daily with LGBTQ youth and families through their award-winning website, Everyone is Gay. Dannielle lives in Los Angeles, and Kristin lives in New York City. Linda Stone Fish, MSW, PhD, is a professor at Syracuse University, a family therapist, and the coauthor of Nurturing Queer Youth. She lives in Syracuse, New York. 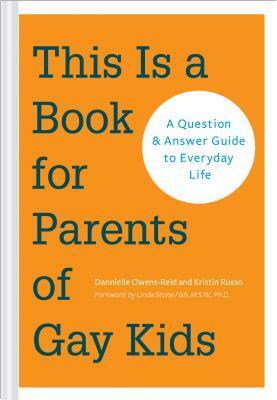 "Danielle Owens-Reid and Kristin Russo's question and answer book is the perfect guide for parents of gay and questioning children. They answer all the potential questions a parent might have. with a lot of love and patience."